Gregoire grew up on a farm in southern Quebec and after a few years of travelling across Canada, he moved to the Slocan Valley in 1989. In 1991, he created the Kootenay Permaculture Institute to follow his passion for permaculture and ecological agriculture. He has been teaching permaculture across Canada for over 20 years and locally the Permaculture Design Course is offered in partnership with Selkirk College. He bought a small farm in 1992 and started implementing a permaculture design that includes a forest garden which is a multi-layered agroforestry system integrating a diversity of fruit trees, nut trees, berry bushes, perennial vegetables and medicinal herbs. The farm has nearly 5 acres of wetlands that are in the process of being restored and protected. He’s a founding member of Kootenay Organic Growers Society that was started in 1998 to support and certify organic farmers in the Kootenays. Gregoire has also been working in riparian restoration for nearly 20 years. 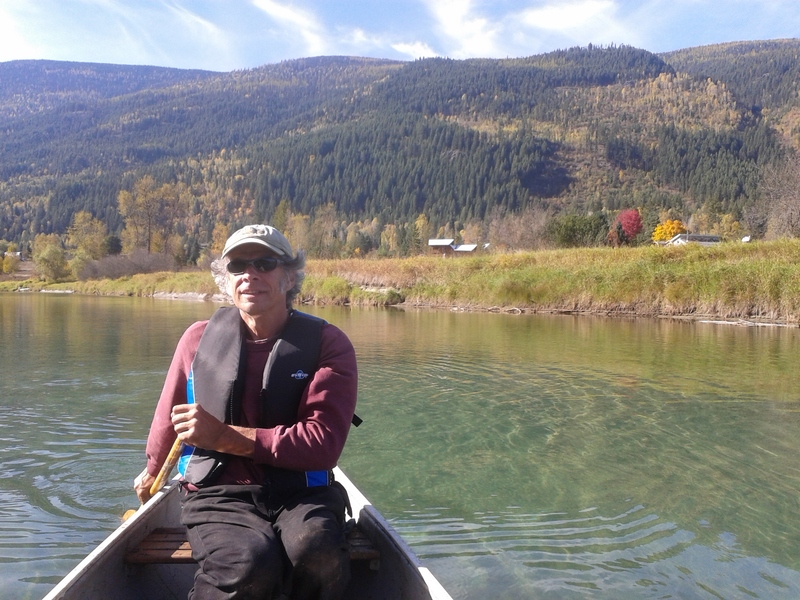 He’s a co-founder of the Slocan River Streamkeepers Society which started in 2003 with the goals of improving public knowledge on aquatic ecosystems, to improve stewardship of aquatic and riparian ecosystems, and to identify potential ecologically sound, effective restoration projects. Gregoire is now the organization’s coordinator for the Riparian Restoration Program, and is on the Executive Committee for the Slocan Wetland Assessment and Monitoring Project (SWAMP).